Browse content similar to Series 5 Reversions. Check below for episodes and series from the same categories and more! James Braxton and Charles Hanson head for Cornwall on the final leg of their road trip. 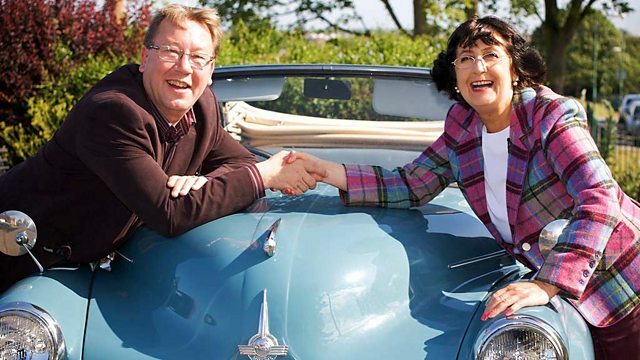 Anita Manning and Philip Serrell travel through the north of England in their classic car. Anita Manning and Philip Serrell head through the Dales and visit Blackpool. Anita Manning and Philip Serrell go head-to-head at an auction in Harrogate. Antiques experts Mark Stacey and Mark Hales travel from Rutland to Cambridgeshire. In East Anglia, Mark Hales gets a lesson in spying and Mark Stacey is stunned at auction. Thomas Plant and James Lewis head round the highlands and lowlands of Scotland. Thomas Plant takes a financial gamble and James Lewis talks to animals. Charlie Ross and Catherine Southon hit the road in Corsham, Wiltshire. Charlie Ross and Catherine Southon get a shock at an auction in Lewes.